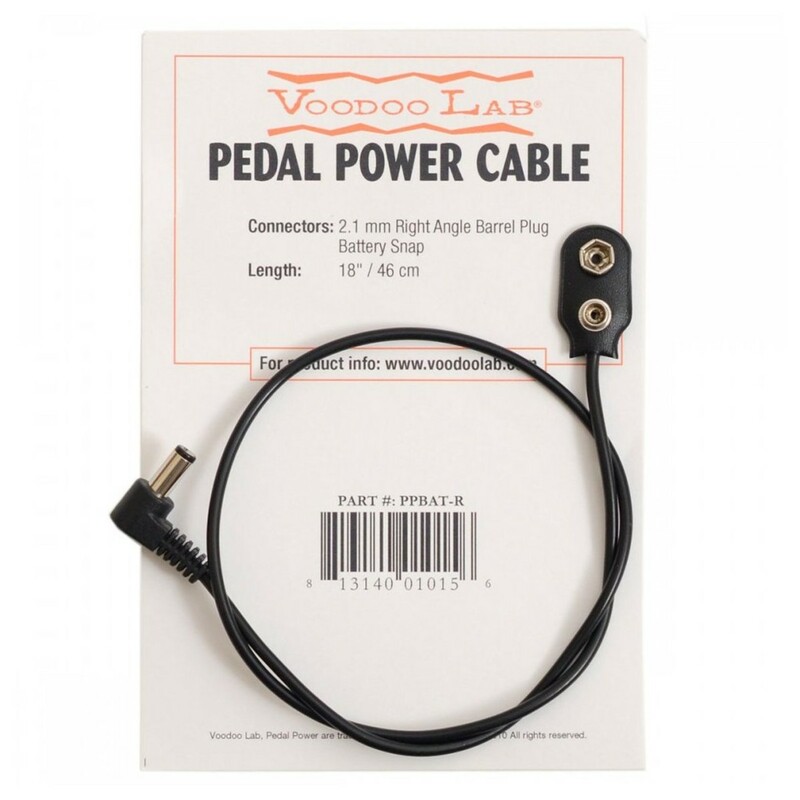 Voodoo Lab Right Angle Barrel To Battery Snap Cable 18 Inch. 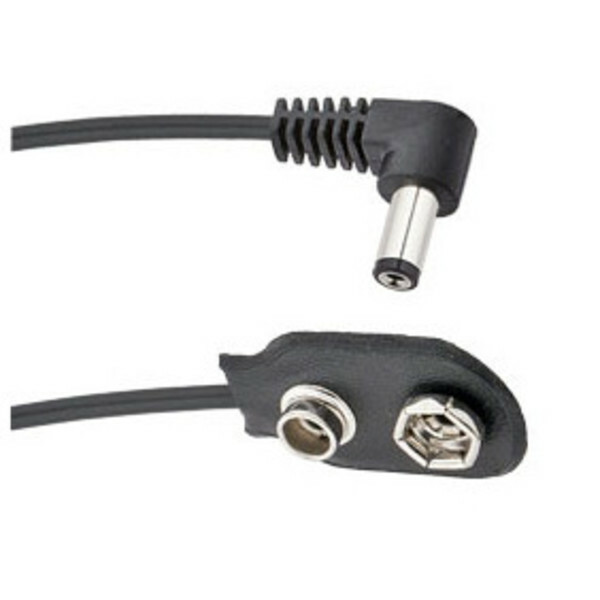 This useful cable has a 2.1mm right angle barrel plug pedal connector and a 9V battery snap connector. The battery snap is compatible with all effects thar run on a 9V battery and is great for old vintage fuzz pedals and other pedals without power jacks. The cable has a length of 18 inches/ 46cm. This cable type is essential to power your effects that run on a 9V battery supply, for a very cheap price.